On 5th of June 1975, the people of the United Kingdom voted to retain the country’s membership of the European Economic Community (Common Market), with a decisive two-thirds majority. 41 years later, now regarding the European Union, the British people were again asked whether they wished to remain, this time narrowly voting ‘no’. How was Euro-scepticism nullified in 1975 when 2016 saw such a different result? Beginning with parallels, most obviously the referendum model was used twice as the basis of solving the question of Europe within British politics. The issues cut across party political lines on both occasions, with the governing party’s clear fault-lines being the precursor to the referendum being called. A referendum on the EEC was pushed heavily by the Labour Party’s left-leaning base in their opposition period 1970-74, their most prominent political figure being Tony Benn. Socialist criticisms of Europe were based on the ECC being a ‘capitalist club’, inclined to frustrate the heavily-interventionist policies of the British Left. Like Wilson, Cameron accepted a European referendum due to the pressure of the more ideological wing of his party. Robert Saunders argues that Cameron felt that he could successfully repeat the Wilson formula – a reluctant European who successfully negotiated with Europe and won a referendum. Both leaders took a position of reasoned judgement and economic necessity. However, Cameron failed to accurately replicate the best elements of the 1975 strategy. 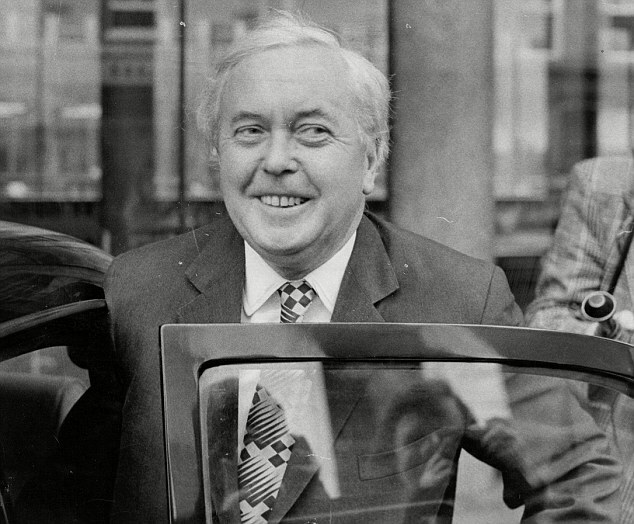 A prominent role which zoned in on the economic risk of leaving narrowed the arguments when the 1975 campaign was extremely wide-ranging and the issues raised were tuned to the interests of societal-groups. ‘Britain in Europe’ (BIE) in 1975 took lessons from the Norwegian anti-establishment campaign which successfully led to a rejection of ECC membership. Multiple campaign groups were set up under the BIE to argue the case for remain from different standpoints and each used their relevant public figures or ‘celebrities’ to popularise the ‘in’ message, for example ‘Sportsmen for Europe’ used people like Virginia Wade and Sir Matt Busby, whilst ‘People for Europe aimed to recruit ‘young personalities’ such as Dirk Bogarde to establish remain as the fashionable option. Furthermore, the key supporters of the other side of the argument – Benn, Enoch Powell, Ian Paisley – were painted as extremists and vilified by the press. Polling indicates uniform unfavourably of these polarising figures as opposed to the political heavyweights of the ‘in’ campaign. It is true that, as in 2016, the three main party leaders – Wilson, Margaret Thatcher and Jeremy Thorpe backed remain, as well as further ‘establishment’ figures such as Roy Jenkins, chair of BIE, James Callaghan and Edward Heath; and furthermore the BIE spending dwarfed that of the ‘no’ National Referendum Campaign (NRC). 2016’s ‘leavers’, most notably Boris Johnson and Nigel Farage, would carry the idea that they were against the weight of the establishment also. A major difference here is the attitudes of the press. The Sun, The Daily Mail and almost every newspaper had backed a vote to stay, almost unthinkable when in 2016 they were clearly anti-European papers. Hence, the leave campaign in 2016 had much more popular legitimacy than NRC campaigners in 1975. Thus, whilst their were similarities with the two campaigns, deeper assessment suggests some reasons why the 1975 referendum was more decisively remain than 2016. Based on Robert Saunders, Yes to Europe! : The 1975 Referendum and Seventies Britain (2018).